You may not give too much thought to the health of your trees. The average person doesn’t really think about the health of their trees until they are forced to do so. This could be simply because the tree has no leaves on it or branches are continuing to fall off, despite no strong winds or storms. South Denver Tree Service is capable of caring for the health of your trees so that you do not have to give it a second thought. 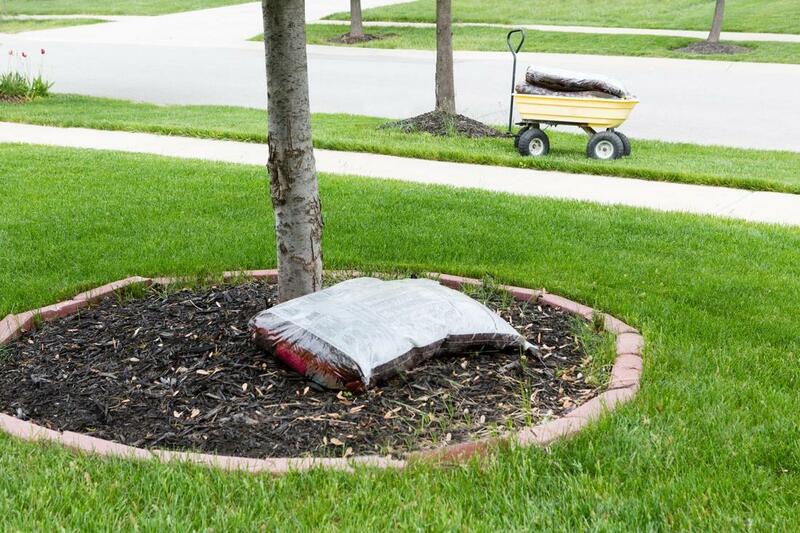 Utilizing the correct type of tree fertilization is important to the health of your trees. Our arborists are experts in caring for trees of every type and are familiar with the fertilization process for each one. They also know when it is most beneficial to fertilize a certain type of tree and will examine the soil for a lack of nutrients. Equipped with a keen understanding of trees enables us to keep your trees healthy for as long as possible. The semi-arid climate in Denver, which results in dry winter conditions with some very low temperatures as well as dehydrated summers with intense sunshine heat, might be a preference for humans who don't like humidity, but for many species of trees, the "drought-like" conditions are not favorable. Trees need water. Drought stress that affects trees can be increased by high winds and reflective or residual heat in an urban setting. Winter tree watering is done to help trees remain healthy during this stressful time of year. It helps prevent transpiration, which is the evaporation of water from the plant through the leaves or needles. It speeds up under windy, dry conditions. Winter tree and shrub watering can also help prevent tip burn, frost/freeze cracks, and help leaves stay supple during heavy snow. Meanwhile, summer tree watering is necessary for many non-irrigated trees and shrubs. While drought stress from wind and heat may not kill a plant outright, continued drought with no supplemental water might. And once stressed, trees are more susceptible to diseases and may be targeted by insects. If you are not receiving any type of maintenance on your trees, it will eventually manifest itself in the appearance of your trees. Healthy trees tend to stand out. This is because they thrive and look good all year round. We've found that the right mixture of fertilization, tree watering, and tree pruning will help your trees and shrubs remain healthy. Our tree experts at South Denver Tree Service have the ability to care for your trees so that they are looking are always looking their absolute best. When you want to maintain the curb appeal that your trees offer, having routine maintenance performed on your trees is the best way to do this. Our associates are happy to work out a plan of caring for your trees based on your needs and budget. Call us for scheduling today. We suppose that most people would rather just take care of their tree needs themselves. The problem is that without the right understanding about the type of trees that they have, it will not do much to help with the health of their trees. A tree specialist has likely received professional training and is capable of providing you with effective services to help maintain the health of your trees. When your trees do not receive the care and attention they need, it will show in their appearance. A professional tree service will know the correct way to care for your trees and the incorrect way. They will be extremely beneficial in the long-lasting health of your trees. At South Denver Tree Service, we offer the most affordable and effective tree care services in the area. Your trees are in good hands with our arborists. Give them the opportunity to show you what they can do to keep your trees healthy throughout the year. With a team of hand-chosen tree professionals, you are able to get all that you are paying us for and more. We make your money go further by keeping your trees from becoming diseased and needing to be removed. You will receive lasting-tree benefits with the help of our tree arborists. Legal disclaimer: ​This is a referral website. All services provided by South Denver Tree Service will be handled by licensed arborists we know and trust.